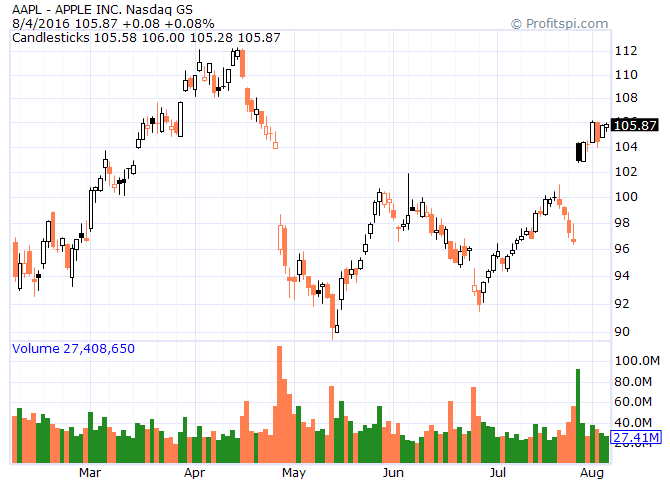 You can use the Number of Ups or Number of Downs functions to screen stocks. 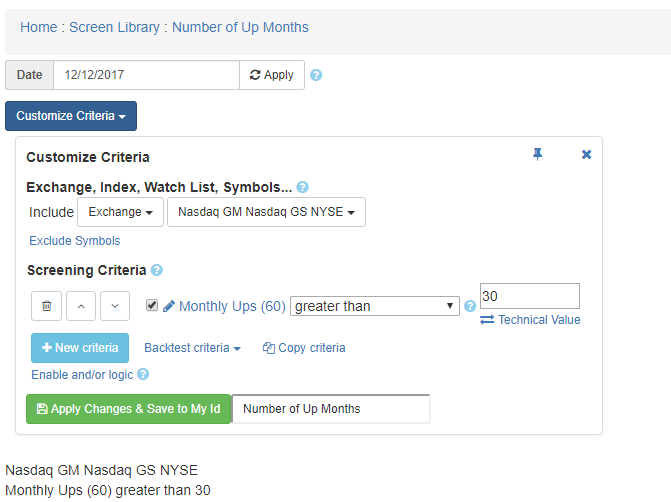 For example as shown below you can screen to find stocks where the number of Up months in the last 60 months is greater than 30. Try an Ups and Downs screen. We have added a Triple Exponential Moving Average calculation. As shown below, the default setting is 14 daily bars. 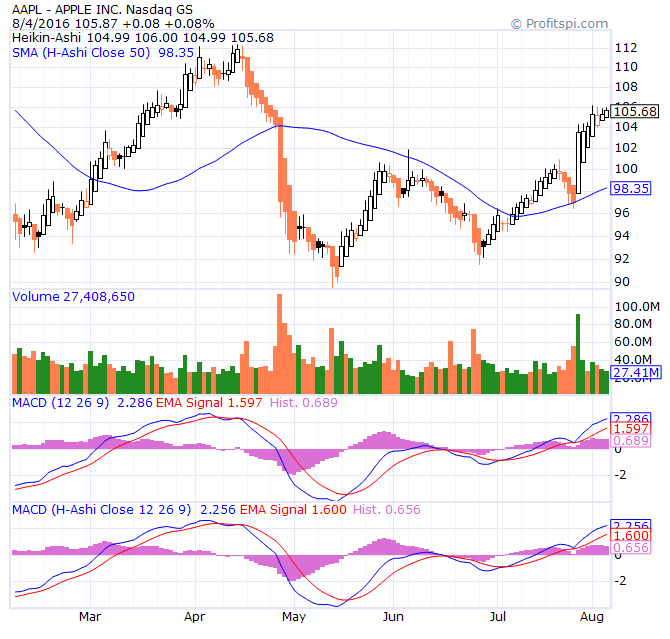 Try a Triple Exponential Moving Average chart. 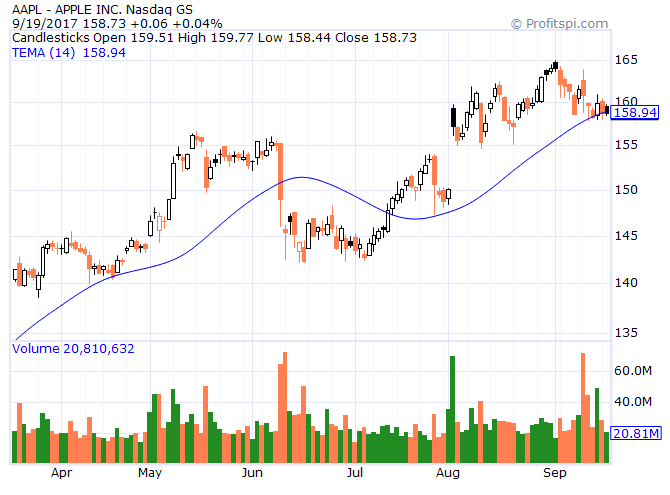 You can also choose to view charts using Quarterly bars. 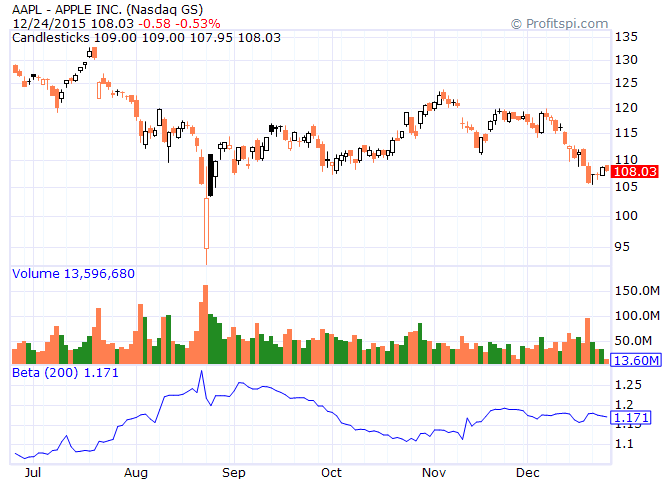 A common request is to screen or test for some kind of reversal in direction for an indicator. 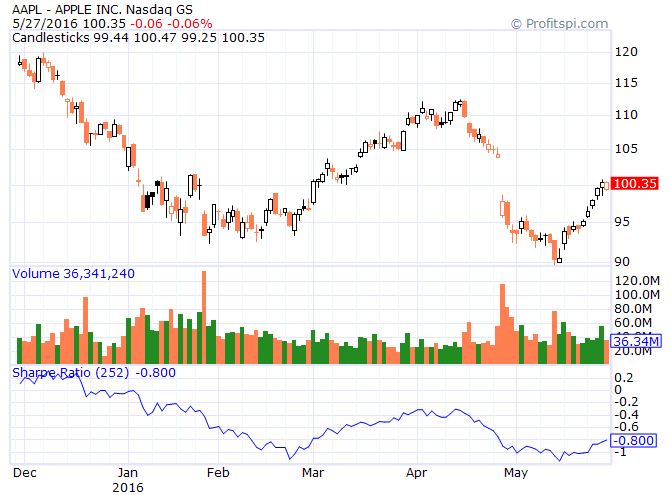 In this screen we are looking for stocks where the MACD had been decreasing for 20 bars but then increased for 2 bars. The [-2] Offset setting is what allows us to backdate the first criteria to 2 bars prior to the current bar. The 'MACD (12 26 9) [-2] decreasing for 20 bars' criteria requires downward movement on all 20 bars. If a stock has one flat bar or even a small upward movement it will fail the criteria. Our fundamentals coverage for US stocks now includes up to 40 data items such as EBITDA Margin, Free Cash Flow, EPS, and many more with history going back as far as 2001. The data is collated from company filings. Items from the criteria will be auto-included on the grid but you can add additional items to the grid, even though they are not in the criteria, by using 'Customize Grid Columns'. You can now specify an optional minimum gain for trailing loss stops. In the example below the trailing loss is 15% but it will not be active until the position has gained at least 5%. 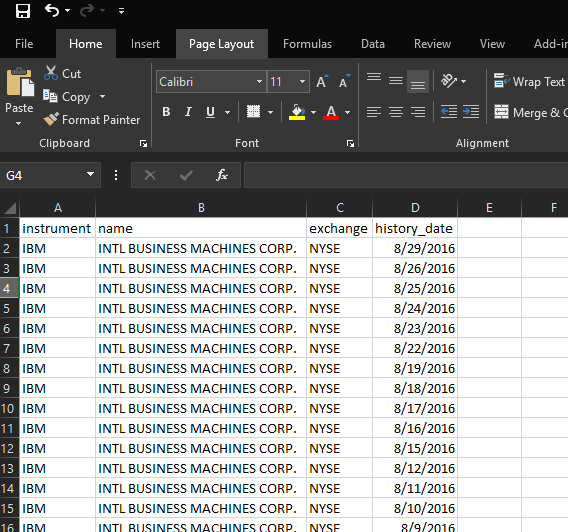 Our API now allows you to retrieve historical instrument data in CSV format which is ideal for use in Excel. First you need to get an API key. For that you will need to be a subscriber. The API documentation page at https://www.profitspi.com/api/v1/swagger/ui/index has plenty of info on all the API functions but for the purposes of this post we are only looking at the ReferenceData indicatoraliases API function and the Instruments instrumenthistory API function. You will need to know the indicator alias codes in order to retrieve the data you need from the instrumenthistory API function. Using the list of alias codes and the instrumenthistory API function you can specify what types of historical data you would like to retrieve. But by adding one or more 'additional value' parameters we can retrieve any additional data we need. Up to 10 additional value parameters can be specified as av_0 thru av_9. 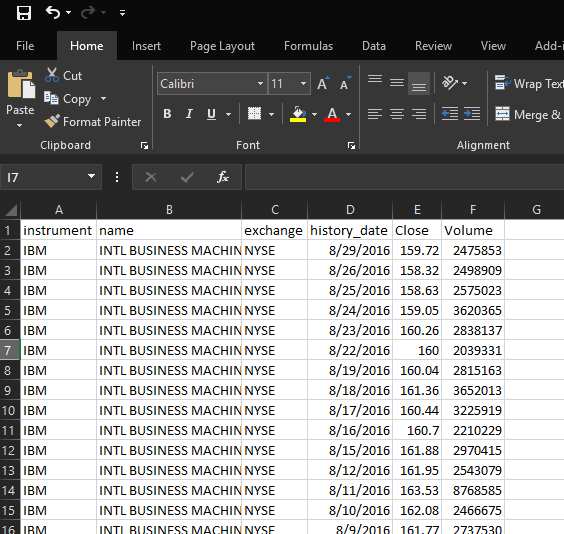 Experienced Excel users can take advantage of the Excel data retrieval function at Data > New Query > From File > From CSV. This will allow you to easily refresh the sheet with the latest data without having to do a file download each time. 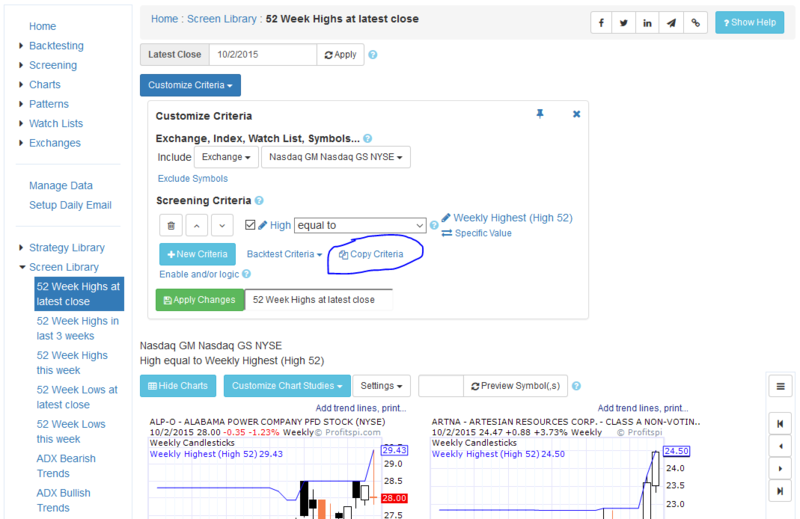 We now provide screening and charting of Heikin-Ashi candlesticks. Heikin-Ashi charts are an adaptation of candlesticks which use averaging to filter out noise and better highlight trends. The two charts below show standard candlesticks followed by Heikin-Ashi candlesticks. 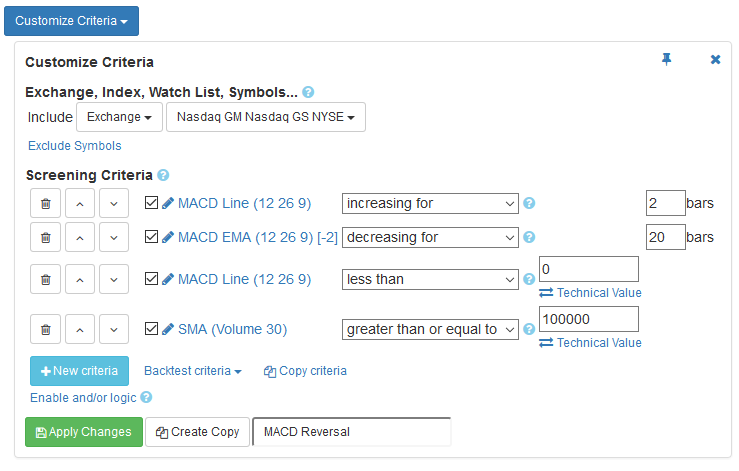 You can show indicators on the chart such as SMA, MACD, etc with the standard inputs but you can also use 'Custom Inputs' to show SMA, MACD, etc based on Heikin-Ashi values. As well as percentage-based Entry and Exit costs, you now have the option for fixed amount costs. Useful if your broker charges fixed commissions per trade. Just choose '$' for fixed amount or '%' for percentage as shown below. Our API is now available for personal and commercial use. The API provides functions for Backtesting, Screening and calculating Instrument technical values. Find out more at our API page. We have added a Sharpe Ratio calculation. You can specify your own time period and type of bars, Eg Monthly, etc. As shown below, the default setting is 252 daily bars. More info on the calculation is shown here. The Sharpe Ratio is also calculated for strategy tests and is included in the summary results. We have enhanced our Beta calculation. Previously we calculated a 36 month Beta on a periodic basis but now you can specify your own time period and type of bars, Eg Monthly, etc. As shown below, the default setting is 200 daily bars. 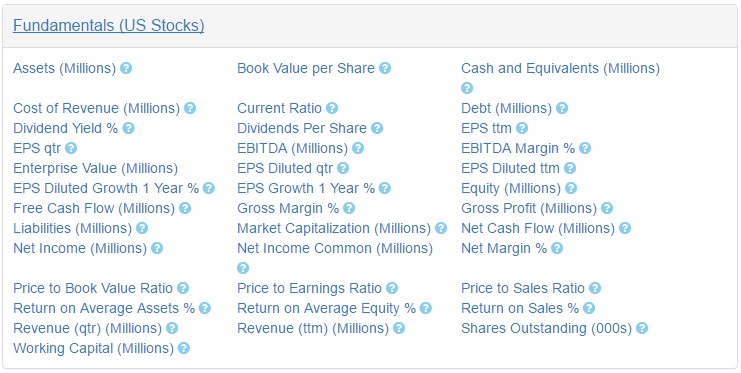 We have extended our coverage of fundamental data points by adding items such as EBITDA Margin, Free Cash Flow, and many more. And we have extended the available history for old and new fundamental items as far back as 2004 March. 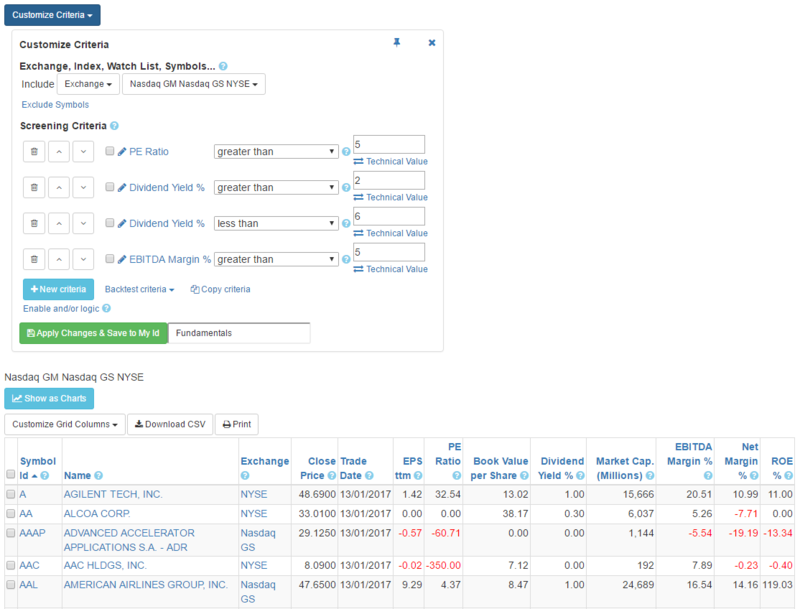 Just a reminder that on Profitspi.com our price history is adjusted for splits but we do not adjust for cash dividends. The reason we do not adjust for dividends is so that the prices you see on trade entry and exit in backtesting reflect the actual prices on the dates in question. And when comparing our price history to other sites which do adjust their charts etc for dividends, please be aware that there will be price differences for stocks that issue dividends. 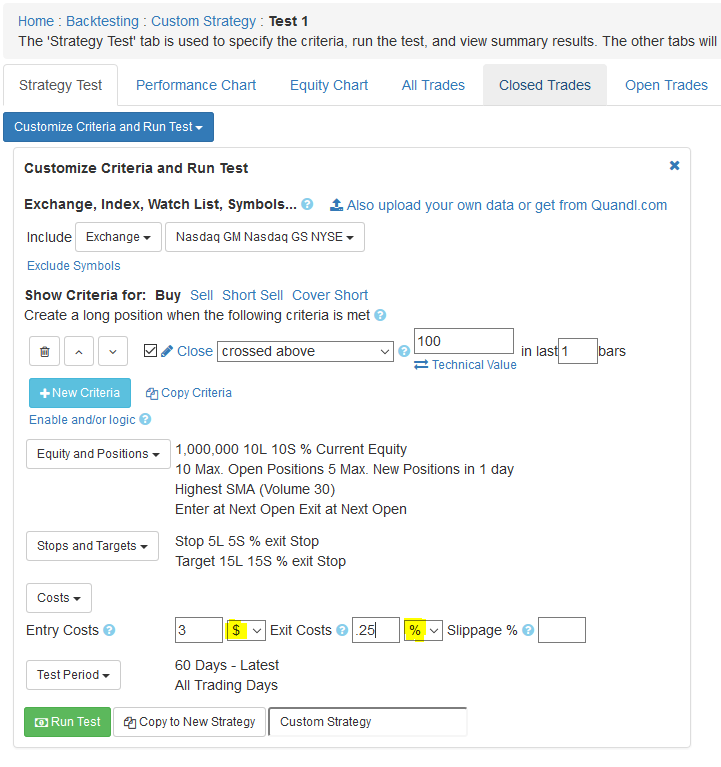 You can now copy criteria from a screen or backtest and paste it to another screen or backtest. As shown below, just click the 'Copy Criteria' option at the bottom of the criteria, navigate to the destination screen or backtest and use the 'Paste Criteria' option, which will show next to the Copy, to copy the criteria across. We have removed some legacy code from the site grids. This has reduced the size of our pages and should improve response times. The grids should function the same way as before but if you do encounter any issue please contact us. 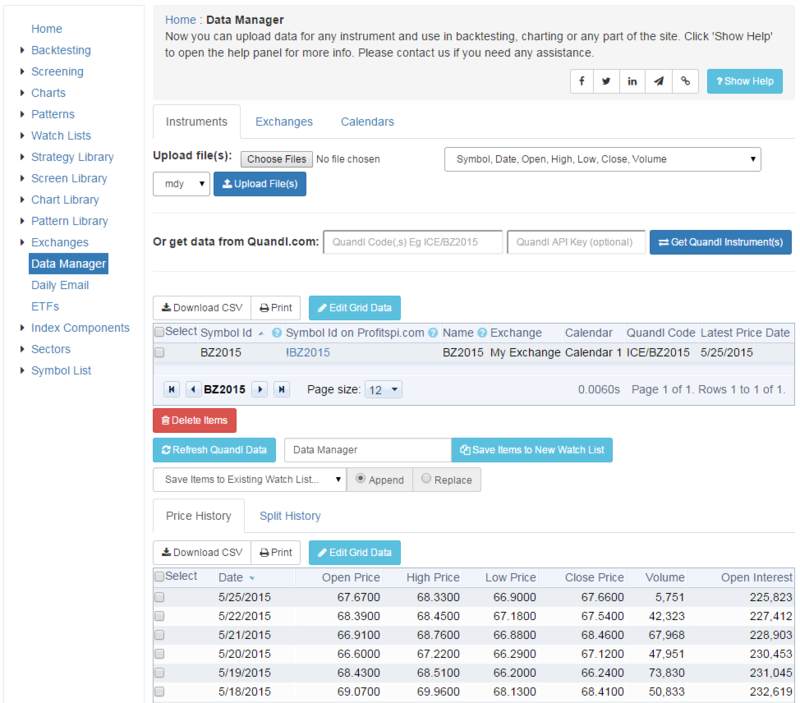 Our new Data Manager tool allows you to easily retrieve any dataset from Quandl.com and refresh that data when needed. The Symbol Id has been stripped to 'BZ2015' and the retrieved history is shown in the bottom panel. You can use 'Edit Grid Data' to change the Symbol, Name, etc. When accessing your Instruments on any other part of the site the Symbol Ids are prefixed with '!' to identify them as User Instruments. So in this case you would use !BZ2015. You could also create a Watch List of your Instruments and Test against that. 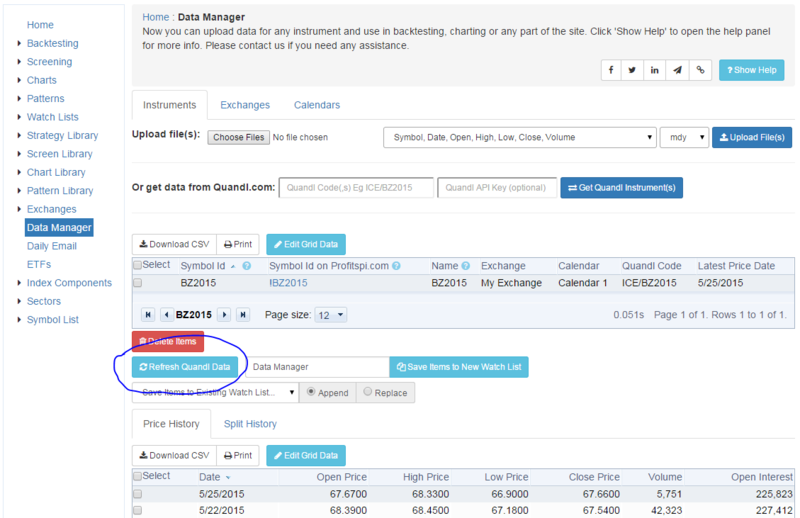 On subsequent visits to the site, if you need your Instruments to be appended with any recent price activity, just go to the Data Manager page and click 'Refresh Quandl Data'. 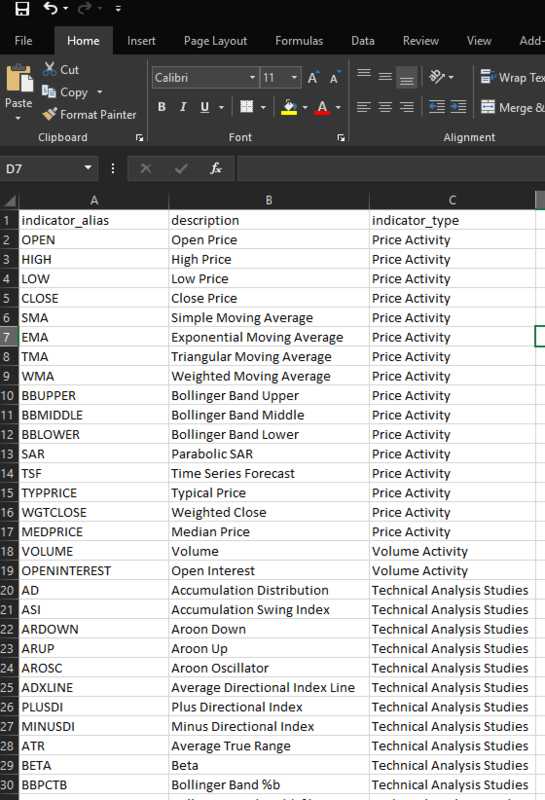 This function will check your Quandl related Instruments and append any recent price history found. 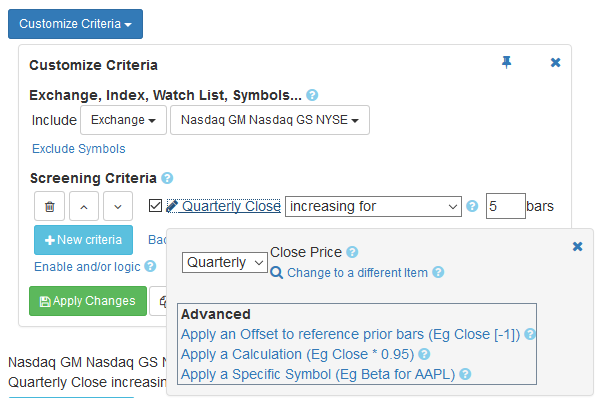 You can now retrieve any dataset from Quandl.com for use in backtesting, charting, etc. 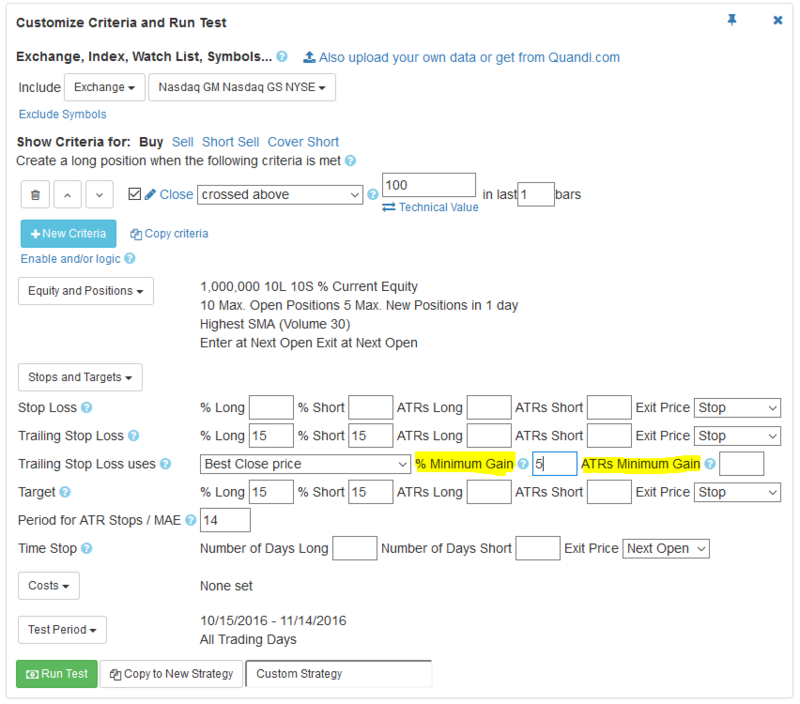 Just enter the appropriate Quandl code, Eg ICE/BZ2015 on the Data Manager page at http://www.profitspi.com/stock/view.aspx?v=data-manager. A more detailed blog post will follow soon. 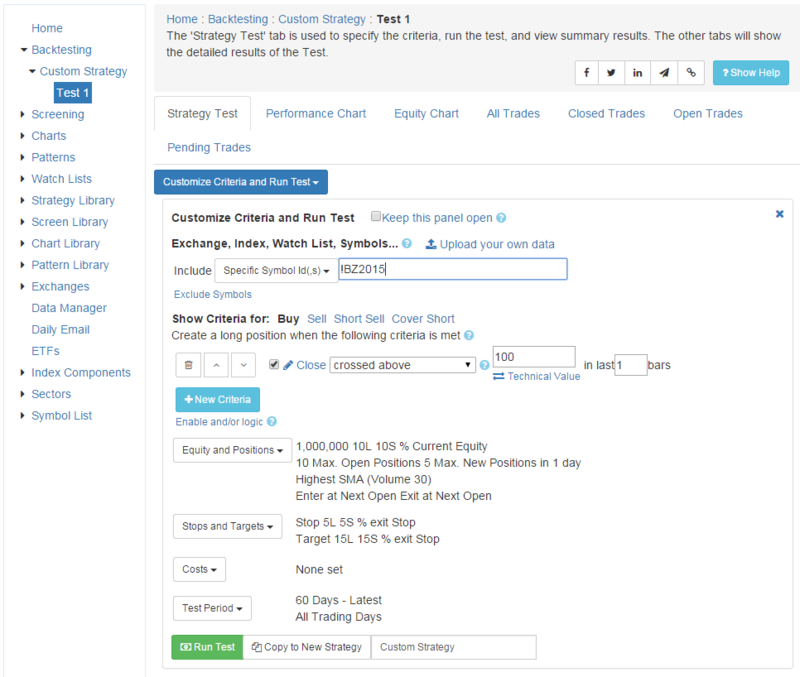 You can now upload and maintain price history for any instrument and use those instruments in backtesting, charting, etc. 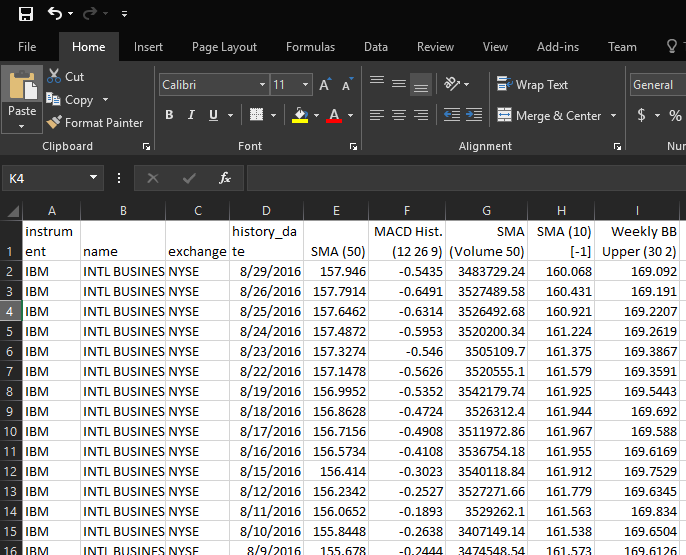 We currently provide data for US stocks so if you have stock history from another market or commodities, forex, etc you can now run backtests against those too. Check out our new Data Manager tool. The Forum at Profitspi Classic has been discontinued as there is not so much traffic there now. Please check out this Blog page from time to time for information regarding the site.